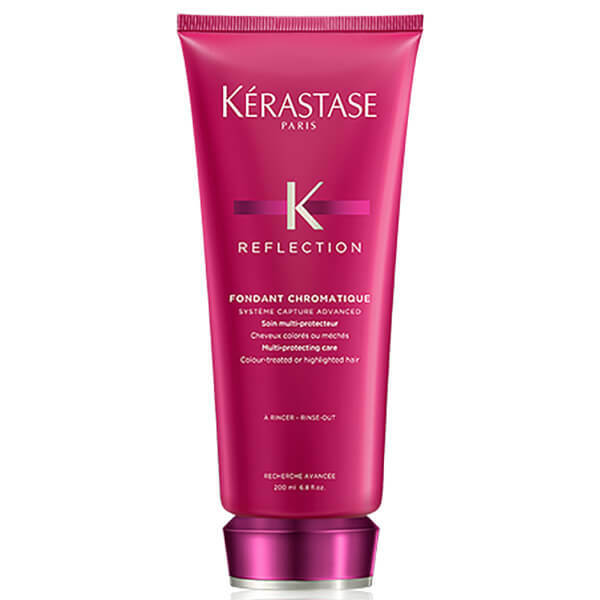 Treat your coloured-hair to Kérastase Reflection Fondant Chromatique Condition, a multi-protecting conditioner specially developed to soften and revive colour-treated hair. Expertly detangling whilst protecting colour, the nourishing conditioner utilises Système Capture Advanced to help neutralise external aggressors that can compromise colour, and a blend of chelators, UV Filters and Vitamin E to help prevent colour fading caused by water particles and oxidative aggressors. 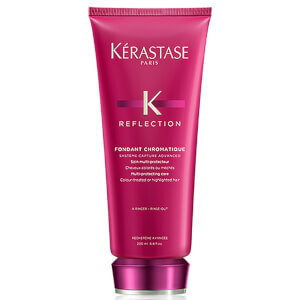 Leaving hair feeling soft, supple and smooth, it contains Rice Bran Oil to emphasise light refraction so hair looks glossy, healthy and vibrant with enhanced shine. Expect vivid, shimmering colour and light-reflecting shine, for longer. 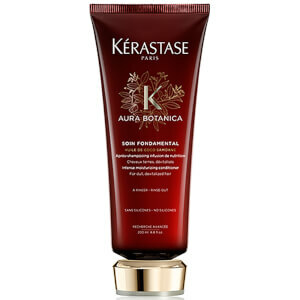 Apply product to washed and wet hair. Massage through lengths and ends. Leave in for 2-3 minutes. Emulsify and rinse thoroughly with warm water.